For a nation which has produced some of soccer’s greatest legends Karl Heinz Rummenigge easily ranks amongst the greatest. He put Germany on the map firmly as a strong soccer playing country and which has maintained that notion even till now. The German’s refer to him as Kalle and its surprising to discover that he almost went into a career in banking rather than sticking to his first and true love which was soccer. Today Kalle is not only the Chairman of the European Club Association but he is also the CEO of one of the most affluent soccer clubs around; the FC Bayern Munich. After his retirement Kalle also worked as a TV commentator for various sports channels before embarking on his Chairman and CEO roles. 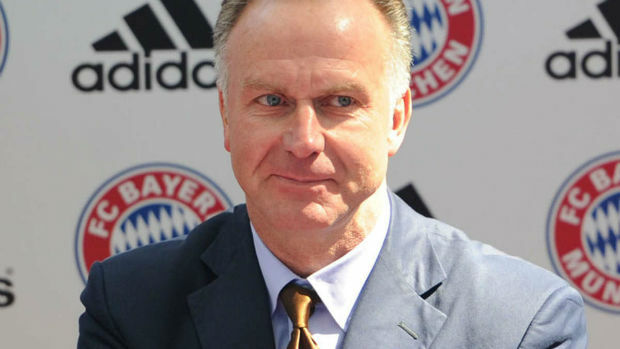 Karl Heinz Rummenigge was born in 1955 in Lippstadt, Germany. He was 8 years ole when he first played around with a soccer ball. Little did Kalle know back then that he would start a family trend of soccer professionals. One of his brothers Wolfgang was also a noted soccer player while his other brother Michael is a successful soccer agent. His uncle Marco Rummenigge was also a soccer player however none of them were able to achieve the skills or achievements of Kalle. At just the age of 8 he entered the youth soccer club Borossia and played for them for the next decade of his life before being discovered by Bayern Munich. Soon Kalle became an integral part of this team and played an important role in their 1976 European Championship. This impressive display earned him a spot on the national team for the 1978 World Cup. Despite the average performance of his home team in that world cup Kalle made a strong impact with his goal winning techniques. For his national team Kalle made 95 appearances in between 1976 and 1986 and scored 45 goals. When it came to the next World Cup of 1982 Kalle had established himself as one of the best superstars of the game having lead Germany to winning the European Championship in 1980. Unlike his contemporaries in the game Kalle was known as the complete and versatile forward and scored a lot of individual and long range goals. In the World Cup of 1982 Kalle scored a legendary hat-trick in Germany’s match against Chile. In just a decade Kalle topped 95 caps and 45 goals for Germany. However his greatest career success came from his time at Bayern Munich where he won the European Cup, Intercontinental Cup, two league titles and two domestic cups. He also led his home team to two runner-up titles in the 1985 and 1986 World Cups. Kalle lead the German side to the 1980 European Championship and two runner up spots in the 1982 and 1986 World Cups. He was honoured as European Footballer of the Year twice. He was named by Pele as one of the top 125 greatest living footballers in 2004.